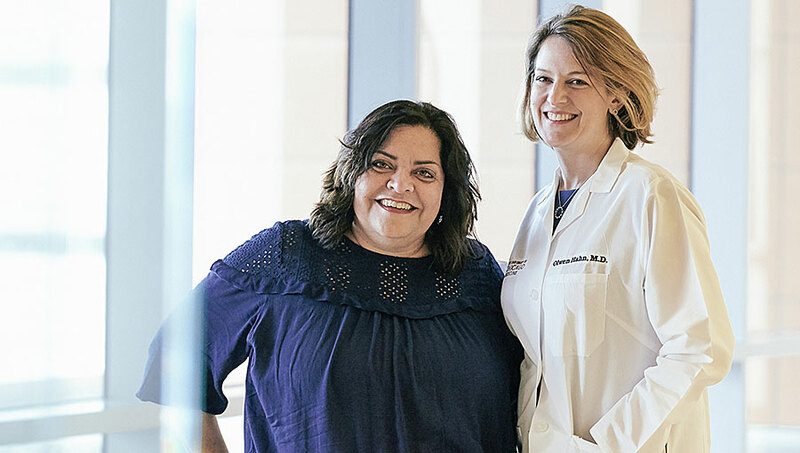 When you’re diagnosed with metastatic breast cancer (MBC) you face a world of hurt — emotional as much as physical. All of a sudden you know what you’re almost certainly going to die from: breast cancer. While treatable, MBC isn’t curable; instead, doctors will be trying to slow the disease and make you as comfortable as possible. You have no idea how long you’ll remain alive. You may be NED (no evidence of disease) for years; or you may see the disease spread quickly. Whatever the eventual outcome, though, you’ll probably want to share your news with family and friends — and then potentially share your journey on an ongoing basis. What do you need to successfully share your story? What’s the best way to deliver the initial news — and then update people as time goes by? Use the following information to formulate a game plan. Metastatic breast cancer means the cancer has spread beyond the breast to more distant areas of the body: typically brain, bones, liver, or lungs. The five year survival rate for MBC is 26 percent (compared to an 88 percent survival rate for non-metastatic breast cancer). About 155,000 American women are currently living with MBC; about 40,000 women a year die from the disease. With treatment, some women and men with MBC live for many years. When talking about your diagnosis with your very closest friends and relations, it’s fine to let your emotions show. Talk about your fear of death, and your anxiety around long-term chemo. Your BFF won’t know what to say at first, but you’ve probably been through hard times together in the past; the words will come to her and, if not, her arms will be around you. When relaying the news to other friends and family members, understand that some people may feel the need of support at the exact same time you do. Try to stay calm as you talk about your disease to your older sister; watch closely, to see how she’s taking it. She may act as you expect and put her arms around you. Or she may freeze, or even clam up and beat a quick retreat. Honor her feelings; this is hard for her, too. Give her time, and she’ll probably be there for you. When sharing with adult children, it helps to temporarily go into “Mom mode.” Find a quiet place and lead up to the news with something like this: “I have something serious to tell you, and I’d like you to listen and try to stay calm while I talk.” Your child is going to experience shock, panic (“Who’ll take care of me now?”) and, hopefully, the realization that the tables have turned. You need help; he has to be strong. Your relationship, down the road, will hopefully evolve to one of mutual support. Sometimes it’s just not possible to get support from those around you. Maybe you’re used to being in charge and feel unable to open yourself to “sympathy” from family. Or perhaps you’re older, and most of those closest to you have already passed away. Or maybe you simply don’t want to stress people with your cancer updates. Cancer, especially terminal cancer, opens your mind and heart. You suddenly realize what’s important and which previously important concerns can be set aside. This can feel liberating; you may want a greater audience to understand what you’re going through, and to potentially share the life lessons you’re learning. You feel you have something to teach the world: you’re not dying, you’re living your life to its fullest in the unknown amount of time you have left. If you do want to share your story on an ongoing basis, CaringBridge is probably the best-known web site and mobile app for that purpose. Designed to serve people dealing with serious illness, it allows a patient or caregiver to stay in touch with family and friends. Start your own page on CaringBridge, then share the URL with those to whom you want to stay connected. That way, instead of writing or calling a whole list of people with updates on how your surgery went, your prognosis, or how you’re feeling on any particular day, you simply update your CB page, and anyone with whom you’ve shared the address can read what you’ve written. Understand you don’t necessarily have to be the one who creates and maintains your page; a dedicated friend or family member can take care of it for you. HealthCentral offers selected MBC patients the opportunity to share their story through a storytelling project, Live Bold, Live Now. LBLN creates top-quality, professionally produced video/print documentaries around people with serious health issues, from rheumatoid arthritis to Crohn’s disease to breast cancer — and more. Complete and submit a short survey, and you may be selected to share your story with online readers worldwide.